Can you spot our Sales Director Fazal Mulla at the British Space Museum? 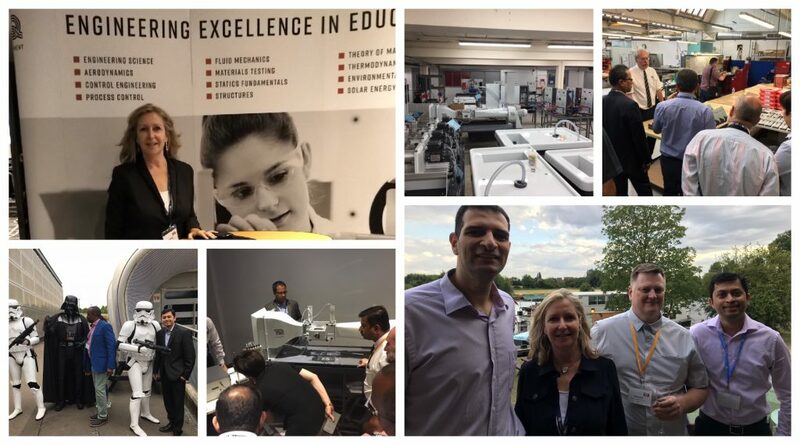 AYVA traveled to England this week for a Global Partners meeting at TecQuipment. Fifty-two people from more than 30 countries gathered in Nottingham to watch the FIFA championship before kicking off a week of product training and planning. TQ showcased several new products including an expanded range of Flow Channels for teaching and research labs, the new Power Systems Simulation Training Modules and the latest refrigeration and air conditioning trainers – to name just a few. The AYVA Team enjoyed networking with our counterparts from around the world and spending time with new and old acquaintances at TQ. A big thank you goes out to our hosts for hosting this world class event.